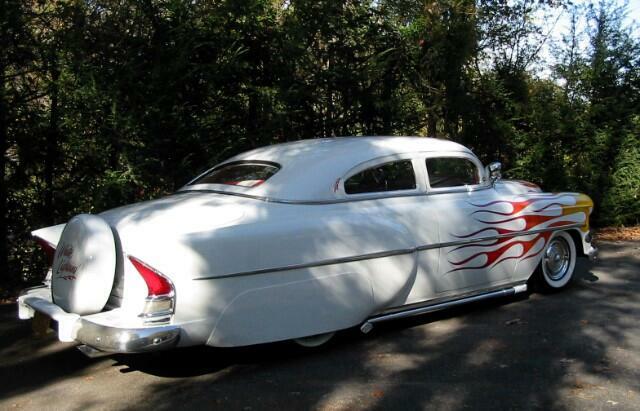 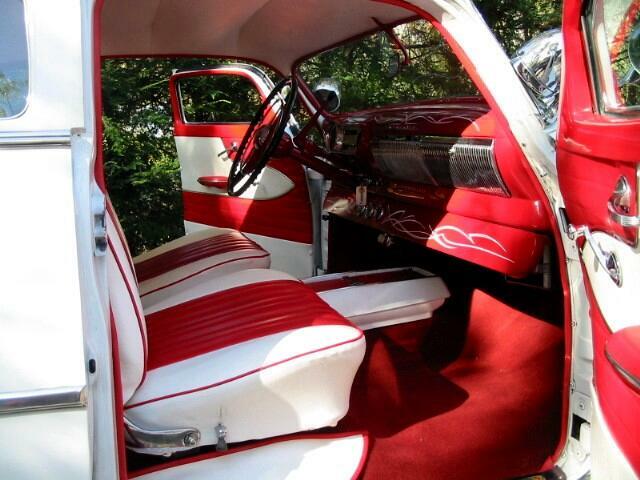 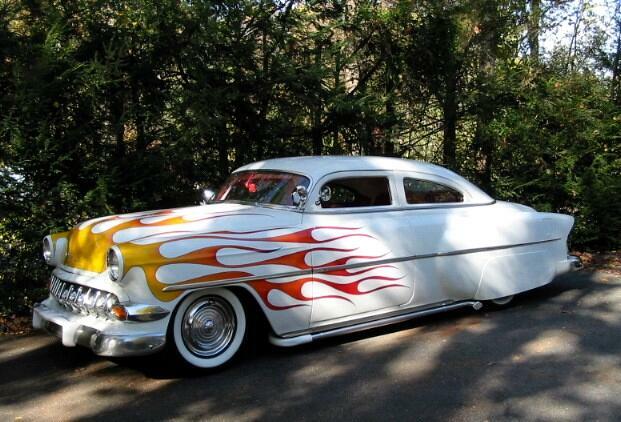 This is an old school customized 1954 Chevrolet show car. 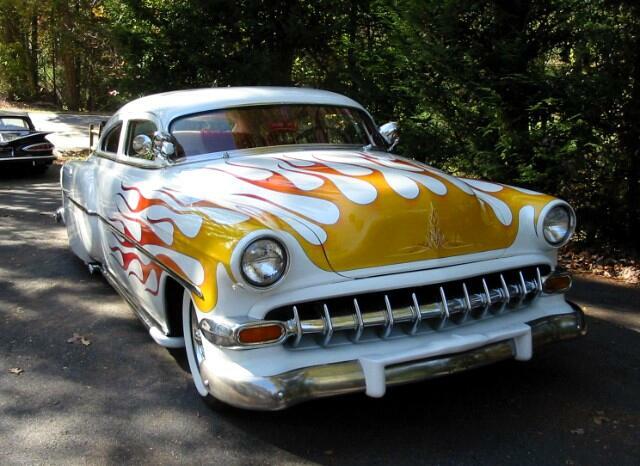 It has a chopped top, extended rear quarter panels with Packard tail lights molded in, continental kit, dual spot lights, lake pipes, frenched head lights, custom grille, bucket seats with console. 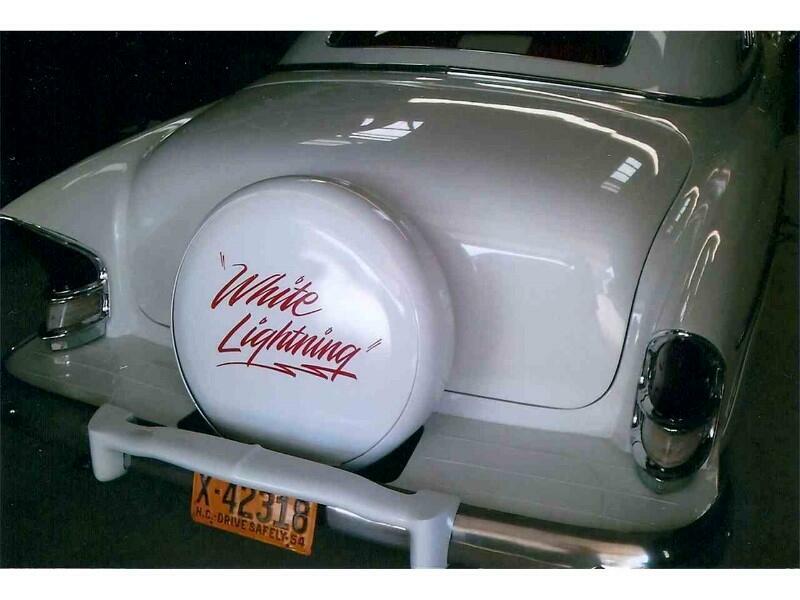 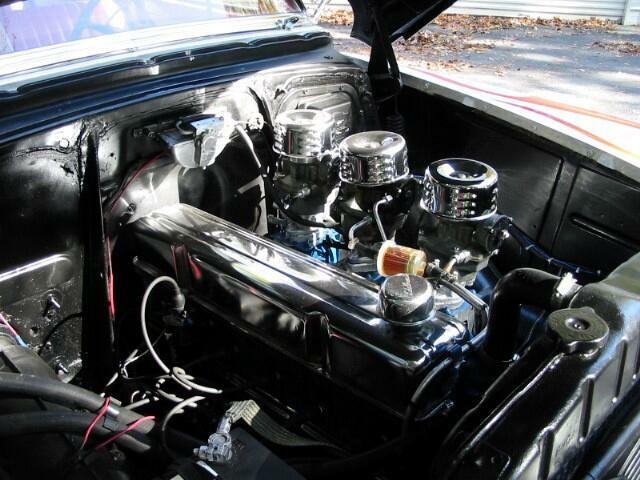 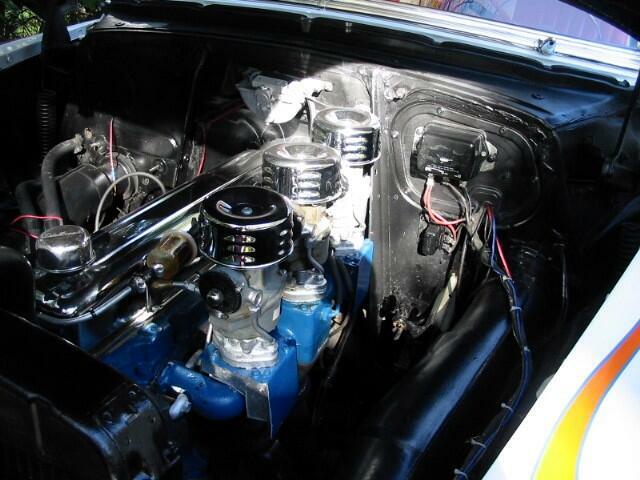 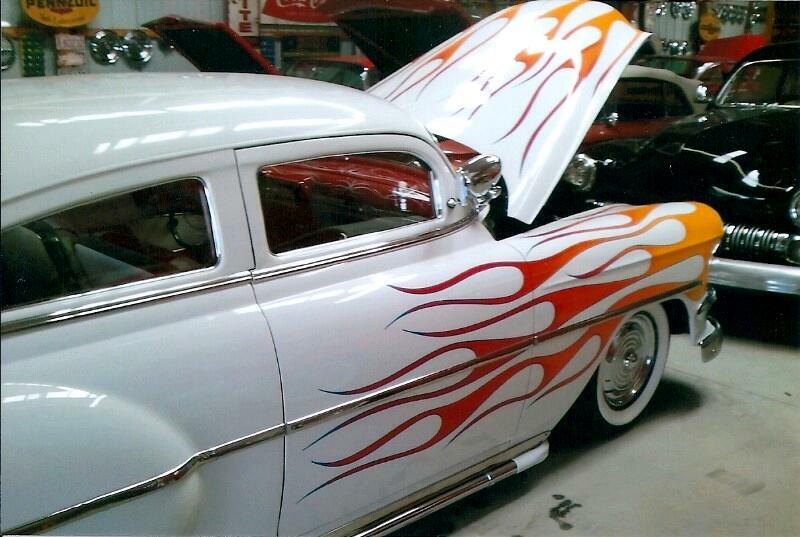 custom made fender skirts, original six cylinder engine, with split manifold and dual exhaust, automatic transmission. 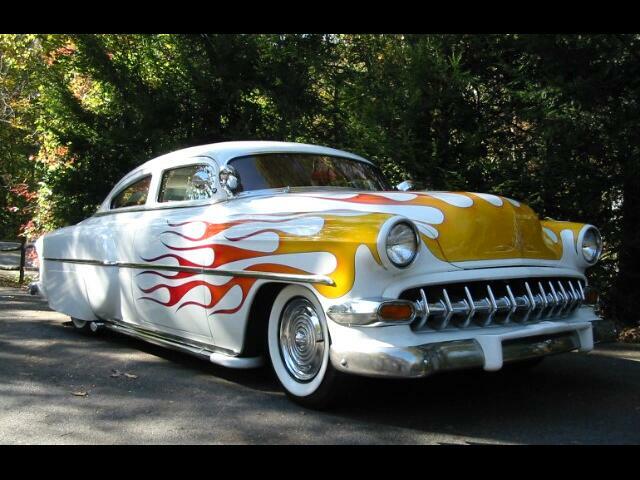 Super nice paint with flames and lots of custom features. 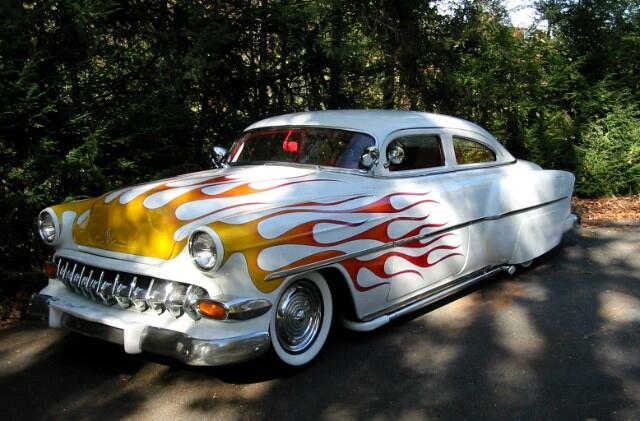 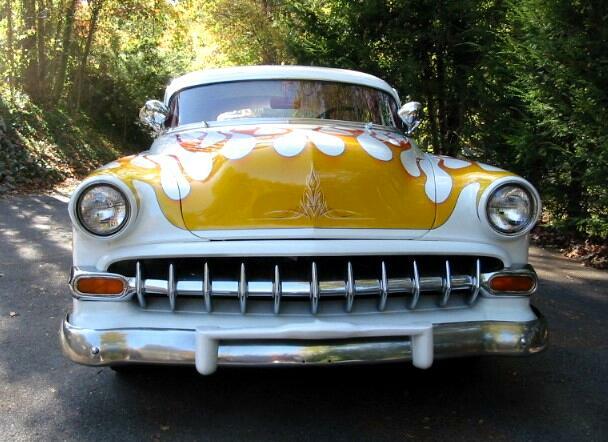 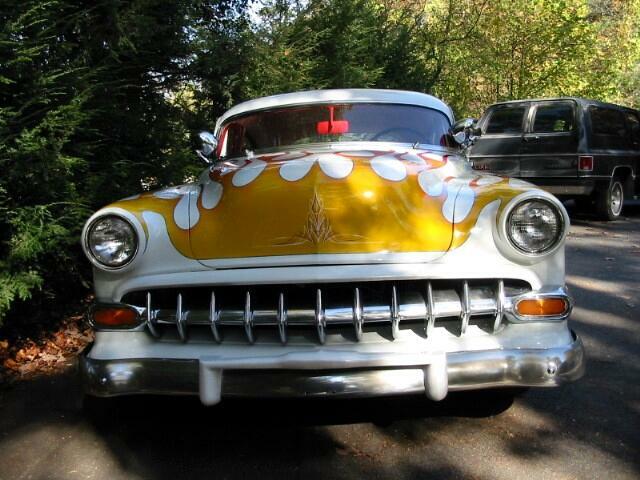 This custom was built in the 1950's in California. 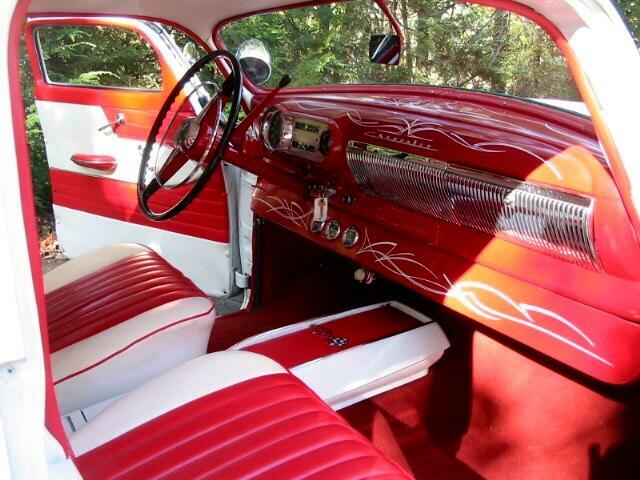 Message: Thought you might be interested in this 1954 Chevrolet 210.